Polaris Ranger Full Size 900/1000 Front Bumper w/ LEDS $310.00 with Free Shipping! 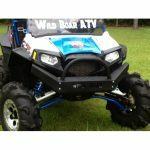 Wild Boar Xtreme Duty Front Bumper W/LED’S Lights For The Polaris RZR 900xp 11-up $340.00 with Free Shipping! 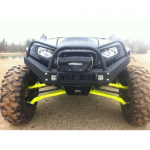 Wild Boar Front Bumper For The Polaris 900xp 11-14 $290.00 with Free Shipping!